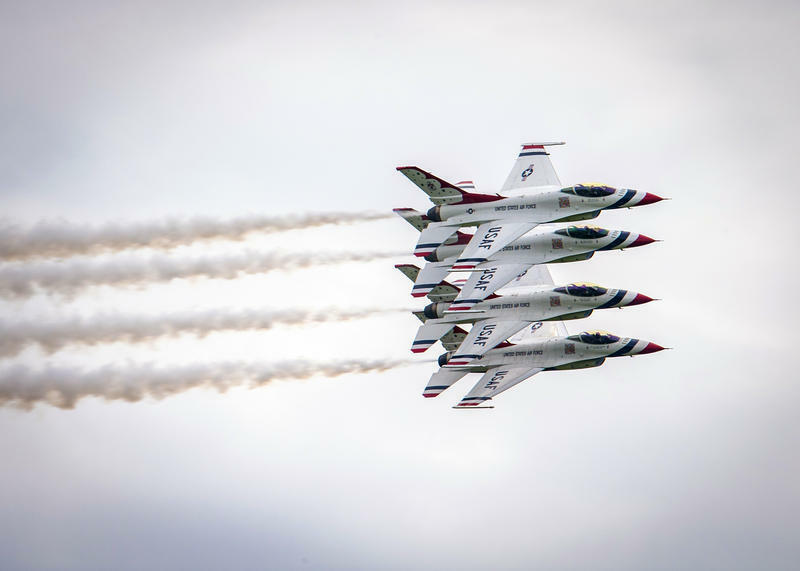 The U.S. Air Force Thunderbirds are among the elite squadrons performing during the air show at McConnell Air Force Base Sept. 8-9. McConnell Air Force Base in southeast Wichita is preparing to open the gates to the public this weekend for its first air show in six years. Nearly 70 planes will pack the runway and ramp end to end for the Frontiers in Flight Air Show and Open House. Dozens of exhibits and STEM educational activities will be in nearby hangars. Air show director Major Pete Merrill says just about every military aircraft in the Department of Defense will be on display along with planes from Wichita manufacturers. “Small aircraft to large aircraft most of them will be open," he says. "The larger aircraft obviously you’ll be able to get up and walk through." More than a dozen elite squadrons including the U.S. Air Force Thunderbirds will perform aerial demonstrations and flyovers. “You can expect the Thunderbirds to be arriving sometime on Thursday, so keep your eyes peeled in the sky for them. I’m sure they will do a couple passes over the city,” Merrill says. The U.S. Army Golden Knights cancelled their McConnell performance last week so their members can attend the funeral of one of their teammates. More than 50,000 people are expected to visit McConnell Saturday and Sunday for the air show. The air show and parking are free. Due to this week's rainy weather, the main parking area at the Textron Aviation field near Rock Road and Pawnee will be closed. 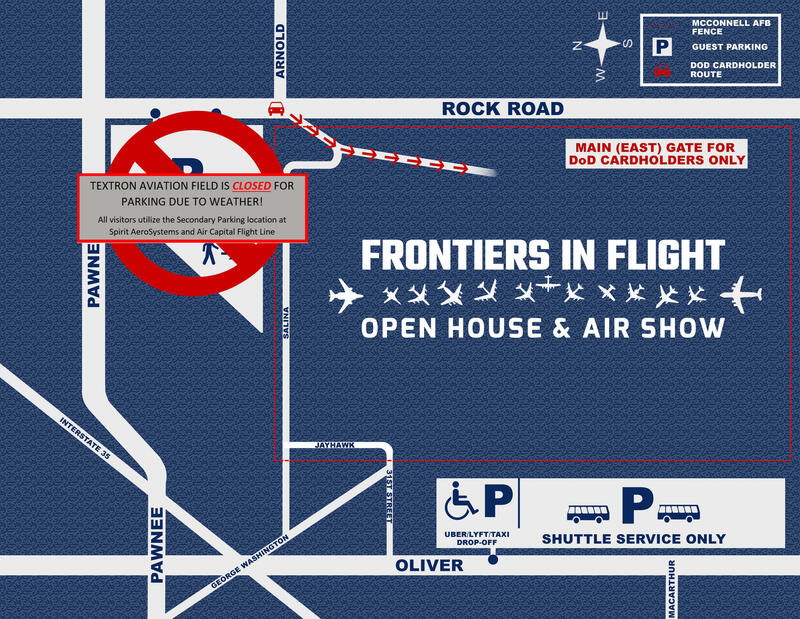 Base Spokesman Lt. Daniel de La Fe said late Thursday that parking for the air show will now be at Spirit AeroSystems and Air Capital Flight Line lots on Oliver Street, west of McConnell. All visitors will use a shuttle service to get on base. This is also the drop off and pick up location for taxi, Uber and Lyft rides. "Regrettably, this shift in the parking plan will cause significant delays at the conclusion of the event as we shuttle you back to the parking area," Col. Josh Olson, 22nd Air Refueling Wing Commander said in a news release. Department of Defense ID cardholders have the option of parking on base. Those choosing to park on base will enter through McConnell AFB’s Main Gate at the intersection of Rock Road and Arnold Boulevard. “Sedgwick County sheriff’s office will be working with us to help control the flow of traffic and from there, we will have volunteers directing people to the base entry control points,” de La Fe says. Once visitors reach the McConnell entrances, they will go through TSA-type security screenings. “So make sure you follow the prohibited items list to make sure that we expedite the security as quickly as possible for everyone,” de La Fe says. More than a year of planning went into the two-day air show. “We rarely have the opportunity bring everyone out, so just to have the community see and understand our mission, is one of the most beautiful things that come out of this air show,” de La Fe says. Visitors won’t be allowed into the new KC-46 hangars. “McConnell is a military installation, and we still have security measures and requirements that we have to adhere to. As far as the ramp and that open area where all the aircraft are, you’ll unfettered access to that,” Merrill says. Merrill says military budget constraints and construction projects at McConnell prevented the base from hosting an air show since 2012. 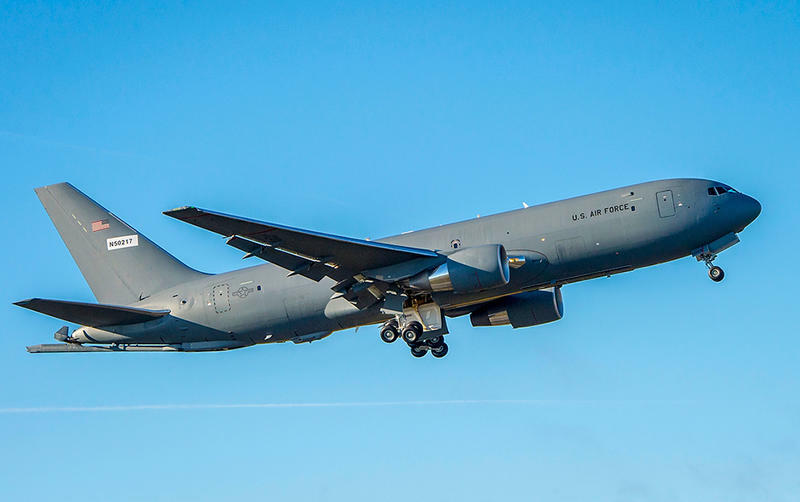 The base began preparing for the arrival of its next generation of air refueling tankers, the KC-46 Pegasus, in 2014. 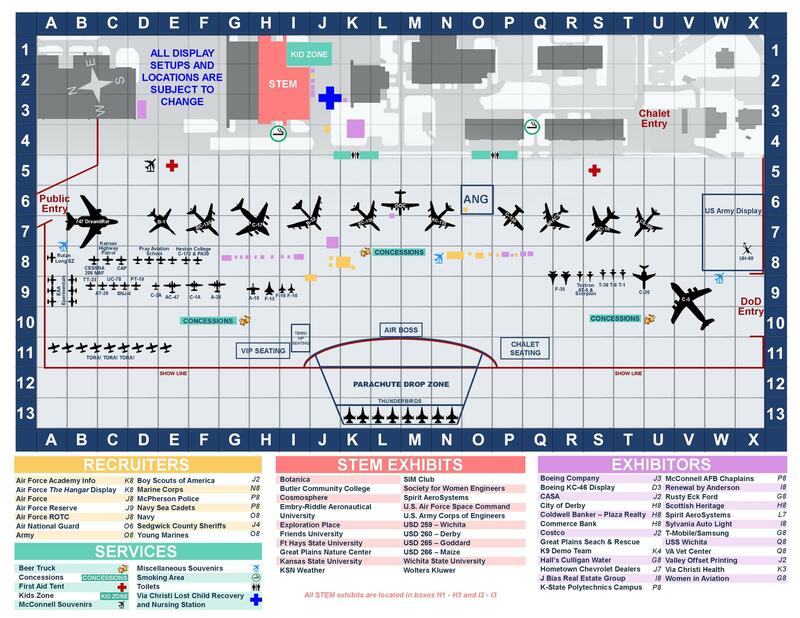 McConnell built three new hangars and completed other construction projects worth about $267 million dollars to prepare for the new tankers. McConnell is expected to receive 18 tankers from October to April 2019. The base will eventually be home to 36 tankers. The base opens at 9 a.m. each morning. Wichita State University and McConnell Air Force Base announced a partnership Thursday that will allow military personnel to work toward a bachelor’s degree while on base. The program began Monday with the start of the fall semester. Military personnel can work toward any of seven degrees, including in business, engineering technology/cybersecurity, psychology and sociology. Military members and veterans are underrepresented on college campuses, and the partnership is an attempt to address the issue.